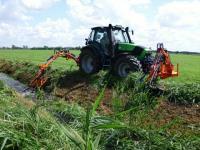 The mow-rake-combination type 4420 mows and clears embankments, soles of watercourses in an ecological, effective and soil-conserving manner. The combination consists of a cutter bar, which is mounted on the front side of a tractor, and it consists of a rake, which is attached to the rear of the tractor. 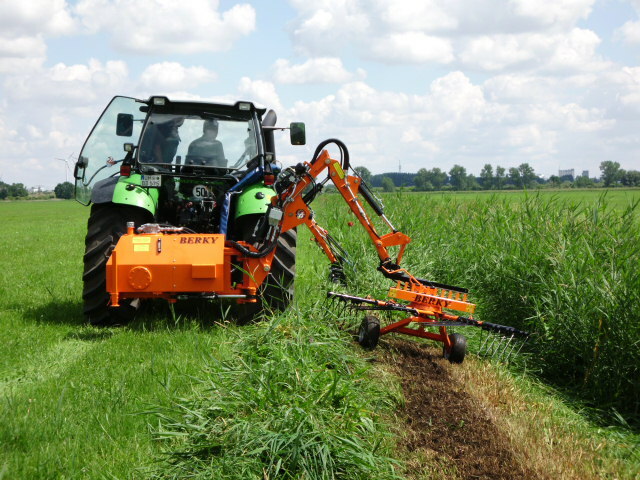 The mow-rake combination can be used for long and deep slopes and can be installed on a three-point linkage or quick coupler. 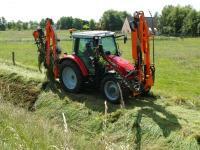 Due to the perfect matching of the tractor speed and the pump capacity, it also ensures low fuel consumption of the tractor.